Editor’s Note: Scroll down the page for updates on the signing/news. The Vertical’s Adrian Wojnarowski reports that 12-time All-Star Dwyane Wade has chosen to sign with the Chicago Bulls. Dwyane Wade has informed the Bulls he plans to sign a deal with them, sources tell @TheVertical. Bulls sending out contracts now. ESPN’s Jorge Sedano reports that the deal is for two years and $47 million. To clear cap space to allow for the Wade move, the Bulls are working to trade Jose Calderon (acquired in the Derrick Rose trade) and Mike Dunleavy Jr. But the only story anyone really cares about of course is Wade to the Bulls, and it sure appears it’s going to happen. 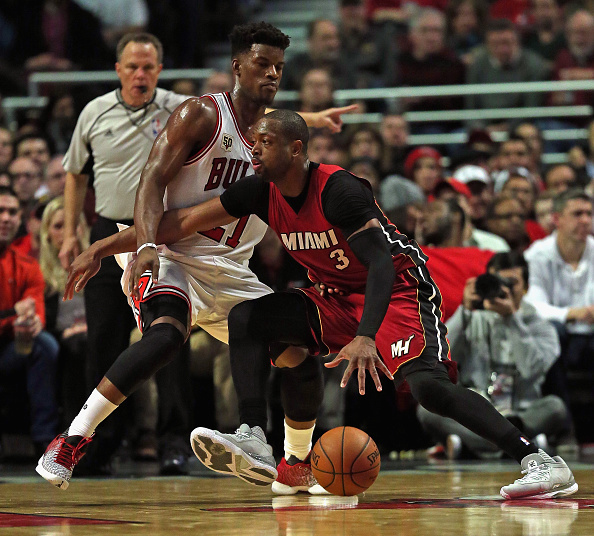 Wade is from Chicago, and the Bulls have attempted to bring him back to his hometown time after time. Well, it appears they have him now, but the timing is pretty odd given the Bulls’ roster construction. If the Bulls keep Jimmy Butler, they will likely have a starting lineup of the recently signed Rajon Rondo at point guard, Wade at shooting guard, Butler at small forward, Taj Gibson at power forward, and Robin Lopez (acquired in the Rose trade) at center. They appear to be in that “good” but not “great” area, and being in the middle in the NBA tends to be a bad idea, unless you have a lot of youth that leads you to believe the team is trending towards being a championship contender eventually. Wade is 34 and Rondo is 30, so it’s hard to see the Bulls being such a team, but perhaps they have some more moves on the way. They’re also getting away from the original plan with head coach Fred Hoiberg when they hired him away from Iowa State last season. But, they’ll at least be more interesting! We’ll have a bigger reaction to this news coming on the site soon, so stay tuned. Wade has apparently informed the Heat that he is indeed leaving them for the Bulls. Sources on @TheVertical: Three-time NBA champion Dwyane Wade has informed the Miami Heat that he’s accepted the Bulls offer. According to CSN Chicago Bulls insider Vincent Goodwill, the Bulls have confirmed the deal. It’s for two years and $47.5 million. The Bulls have sent Jose Calderon to the Los Angeles Lakers.